Feel like the 1.2 km Pier to Pub is just too short, why not try our longer event, the 5000? The GMHBA Lorne 5000, a new 5,000 metre swim, was introduced in 2015. It is a curtain raiser to the Pier to Pub and is limited to the first 300 swimmers to enter. First come first served. The 5000 starts at 10:00 am for men and 10:05 am for women. Pricing for all swimmers is $70. Late entries after 14th December are $100. 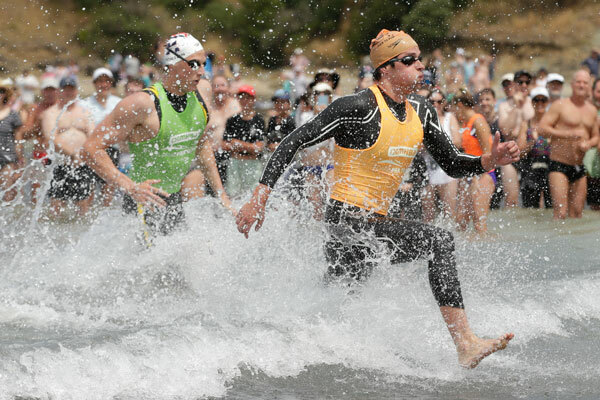 The GMHBA Lorne 5000 is an open event and all swimmers over the age of 14 may complete. There are two categories Male Open, and Female Open. Prizes will be awarded to the the first 3 swimmers in each category. Collect your cap, timing band and T-shirt from the Registration tent between 7.30 and 9am (usually on the left hand side of the tent). Allow at least 20 minutes to get to the start out at the Pier. The course follows the Pier to Pub course with a leg along the beach and then an out and back of the Pier to Pub course. Excellent value for money you get to swim the Pier to Pub course 3 times! You need to able to complete a 5,000m swim in under 2 hours. 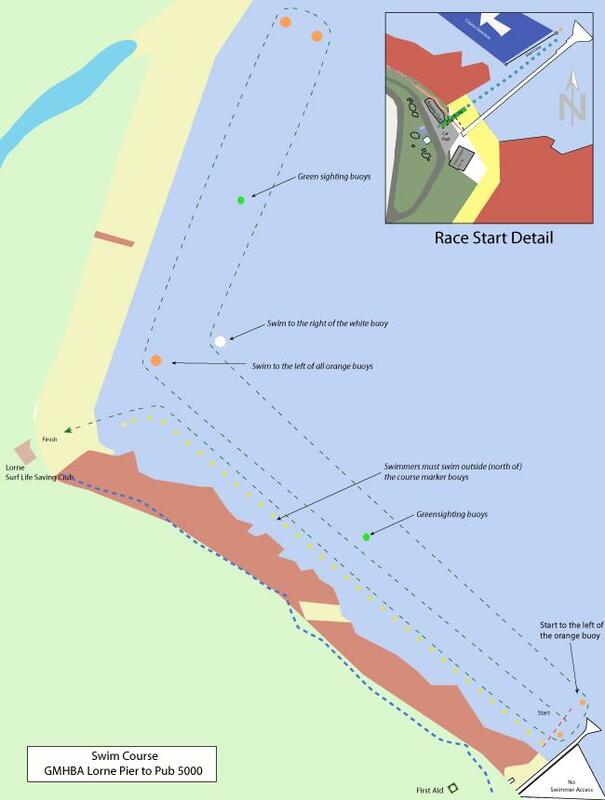 We will have a sweep in place and swimmers who have failed to reach the furthest northern turning buoy by 10:45 will be disqualified and may not complete the remainder of the course. Disqualified swimmers will be required to abandon the swim and swim to the beach. There is a second sweep position at the turning buoy at the pier and you must reach this buoy by 11:30. If you do not reach the Pier turning buoy by 11:30 you will be disqualified. Disqualified swimmers are required to abandon the race and must swim to the boat ramp. NB: Both sweep times are extended by 5 minutes for female competitors, as female competitors start 5 minutes after the male wave.